An award-winning blogger, Jessica Blue has been promoting sustainability, natural health and a do-it-yourself attitude since graduating University of California, Berkeley in 2000. Her work, seen in a wide variety of publications, advocates an environmentally-responsible and healthy lifestyle. Stevia Rebaudiana is an herb that grows wild in parts of Paraguay and Brazil. Its leaves contain a glycoside called Stevioside, which is incredibly sweet. Called Ca-he-he in South America, Stevia has probably been used as a sweetener for centuries. Recently, it has gained popularity throughout the world as a natural sugar substitute and potential weight loss aid. However, research on its effects is still being conducted and its true usefulness has yet to be determined. Antonio Bertoni first recorded the use of Stevia in 1887, but it didn't gain wider popularity until the 20th century. By 1987, Japanese consumers were eating the equivalent of 700 metric tons of Stevia leaves. Indeed, Stevia is a very popular sugar substitute in Japan, where it's used in everything from diet soda to sugar-free baking. However, in the 1990s, some questionable research led to doubts about Stevia's safety, and the FDA blocked its importation. In recent years, that research has been overturned, and Stevia is now available in America. Its use as a weight-loss aid has yet to be determined. The glycosides in Stevia are not metabolized by the body, so it is a zero-calorie food. Processed Stevia can be hundreds of times as sweet as sugar, and comes in powder and liquid forms. It can be used in drinks and uncooked foods, and to replace sugar in baking. For dieters, Stevia represents a way to consume sweetened foods without the "empty calories" from sugar. A 2010 study published in the journal "Appetite" found that people taking Stevia did not feel more hungry or have more sugar cravings than people consuming real sugar. According to the Mayo Clinic, diabetics can safely use artificial sweeteners such as Stevia because they don't affect blood sugar levels. An article at Stevia.com says Stevia actually helps to regulate blood sugar, reducing cravings: "Hunger sensations are lessened when 10 or 15 drops are taken 20 minutes before meals." However, this claim has not yet been proven, and any personal experimentation should be done with your doctor's approval. As with many artificial sweeteners, Stevia has encountered controversy. A 1991 study on mutagenicity concluded that Stevia was dangerous, but a follow-up study discovered that the initial results were flawed. Subsequent research has found no such danger. However, the FDA remains cautious. Stevia is imported as a food supplement, but not as a legal sweetener or diet aid. The European Food Safety Authority, or EFSA, published an official opinion in 2010 finding that Stevia posed no serious danger. However, the EFSA set a low Acceptable Daily Intake, or ADI, for Stevia pending further carcinogenicity research. Stevia is available in packets, powder, clear liquid and pure Steviosides, and each has its own guidelines for use. If you're using Stevia for the first time, be sure to follow the instructions on the package. Powdered Stevia can be 4 to 15 times as potent as sugar. For a cup of sugar, you might substitute as little as one teaspoon of Stevia. Stevia is safe for baking, but will not caramelize or brown like sugar. 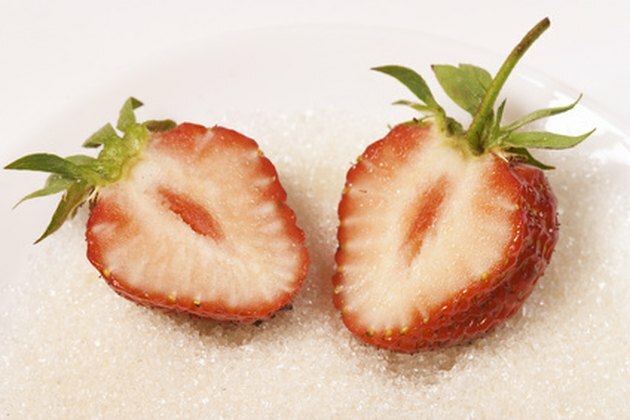 Mayo Clinic: Artifical Sweeteners--A Safe Alternative to Sugar? What Are the Benefits of Stevia Leaf? Is Stevia Safe for Pregnancy? Is Stevia Good for You?